Centrally located in the heart of the Cape Cod peninsula, the Town of Barnstable is the region’s ‘Hub’ for commerce, transportation & education. Home to the Cape’s airport, the Regional Transportation Center for bus & rail travel, plus two ferry terminals, Barnstable truly is the gateway to all of Cape Cod & the islands of Nantucket and Martha’s Vineyard. Other regional resources include: the seat of County Government, Cape Cod Community College, the region’s largest enclosed mall and industrial park, Cape Cod Hospital, and a working commercial harbor. Established in 1639, historic Barnstable is surrounded by the waters of Cape Cod Bay to the north and Nantucket Sound to the South, and is made up of seven villages: Barnstable Village, Centerville, Cotuit, Hyannis, Marstons Mills, Osterville, and West Barnstable, each with unique cultural & historical qualities. Barnstable offers a plethora of rich natural resources: host to 15 beaches, working & scenic harbors, conservation lands, biking/hiking trails, fishing & shell-fishing, fresh water ponds and streams, historic properties and landmarks. For locals and visitors alike, wherever you turn you are surrounded by a quality of life unmatched by any other. Barnstable has both the Cape’s largest year-round (45,000) and a summer seasonal population(150,000). It is also within close proximity to Boston & Providence (1 hour), Hartford (2 hours), New York (4 hours) and easy driving distance for the entire Northeast Corridor. Vehicle traffic over the bridges in the summer averages over 125,000 cars per day. The village of Hyannis is the center of commercial activity not only for the Town but for the entire Cape region. The Cape’s only major enclosed mall is located in Hyannis along with a large number of national chain stores and restaurants. Alternatively, downtown Hyannis offers an ambiance well suited to unique locally-owned specialty shops, artist galleries, restaurants and bistros. This ambiance is also found in the other village centers of Barnstable as well. While smaller in scale than Hyannis, they feature a quaint, historic, seaside charm that is prevalent in this area. Barnstablewas listed as #9 on the list! “Situated on Cape Cod, Massachusetts, the Town of Barnstable stretches between Nantucket Sound and Cape Cod Bay. It’s made up of seven idyllic villages, including Hyannis.” National Geographic bestselling author Dan Buettner and Gallup’s social scientists teamed up to develop an index that assesses measurable expressions of happiness. Gallup senior scientist Dan Witters designed the study which establishes 15 metrics – from eating healthy and learning something new every day to civic engagement, financial security, vacation time, and even dental checkups. The survey results are November’s National Geographic cover story. Barnstable named among the "Top Artistic Cities in America"
Travel Channel names Hyannis to "Best East Coast Beaches List"
The Town of Barnstable is ranked as one of the "Top 20 Healthiest U.S. Metros"
Cape Cod named one of ABC's Good Morning America's "10 Most Beautiful Places in America"
US News & World Report ranks Cape Cod #3 for "Best Affordable Honeymoon Destinations"
Barnstable has several village centers, each providing for small scale retail use, Bed & Breakfast operations, community facilities and activities, and professional offices designed to address the specific needs of the village residents. These areas allow for office and housing developments integrated into a dynamic mixed-use relationship. Barnstable Village is located on the north side of the town, centered along "Old King's Highway" (Route 6A), and houses the County Complex of Barnstable County, a small business district, a working harbor, and several small beaches. The village is the administrative and legal center of Barnstable County, providing many customers for the inns and restaurants, which have much the same function as the old public houses. Barnstable Village is also home to many smaller attractions including Sturgis Library, the Olde Colonial Courthouse (now Tales of Cape Cod), the Barnstable Comedy Club, and the Coast Guard Heritage Museum. The "village assets" of Centerville are numerous, ranging from the beauty and charm of its Main Street, to sunset at Craigville Beach. Centerville had the foresight in the mid 1960's to direct intensive commercial development away from the traditional Main Street to protect and preserve the character of the Village Center. In doing so, it created convenience shopping and services for the Village residents along Route 28. Cotuit is among the smallest of the seven Barnstable villages, covering about 5 square miles. 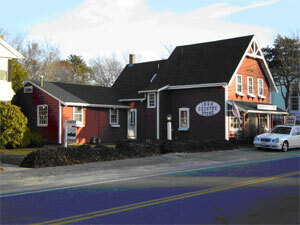 There are two business areas in Cotuit, with over 161 known historically significant structures in the village. One, located along Main and School Streets within the newer village center, is characterized by rustic charm and a laid back atmosphere. Most of the district is residential, heavily populated by homes of significant historic and architectural importance. The Santuit historic district (the original village center) runs along Route 28 and is zoned as a residential area. Its relatively undeveloped character is unusual in the corridor. In addition to private homes, it is an eclectic mix of family owned and occupied businesses, along with the jewels of the area, the Cahoon Art Museum and the Cotuit Center for the Arts. While sharing a similar ‘village charm’ to its sister villages in the Town, Hyannis has long been recognized as the major center of commercial activity for both the Town and the region. Downtown Hyannis is a shining regional model for smart economic growth and mixed-use development. It also has the unique designation as: a) a Business Improvement District, b) an Historic District, c) a Growth Incentive Zone, and d) a Cultural District all at once. Marstons Mills is one of the more rural of the Barnstable villages, and in comparison to other villages has limited commercially zoned properties. In the village center, attractively designed residential and commercial developments have been constructed, adding character and making available a wider variety of amenities and services for residents, as well as small business opportunities. The attractive seaside village of Osterville is rich in history and cultural heritage. Osterville village center is one of the more popular shopping areas and serves not only the village, but also its unique collection of quality shops, galleries and offices combined with its quaint village setting attracts customers Cape-wide and beyond. Osterville hosts such treasured community activities as Village Day and Christmas Open House. In terms of land area, the West Barnstable village business district has the largest village business district outside of Hyannis despite a small village population and a location that is remote from the major centers of activity and denser populations. The result is that the area has been marginal for commercial enterprises and has developed with a mixture of residential uses, small-scale businesses, and professional offices. Given a lack of public services such as water and sewer, together with the difficulty of disposing of drainage due to impervious soils, this village district is unsuited to large-scale development. The Town of Barnstable recognizes arts and culture as key economic drivers that contribute to the vibrancy of the area and provide an important backdrop and enriching experiences year round for residents and visitors. Each of the seven villages features art, culture and historic gems, all with seaside charm. Two of the villages, Hyannis and Barnstable Village have state designated cultural districts. The Hyannis HyArts Cultural District, the first state designated cultural district on Cape Cod, and the Barnstable Village Cultural District focus the town and community partners on the common goals to attract artists, cultural and creative enterprises; encourage business and job retention and creation; further establish the district as a tourist destination; preserve and reuse historic buildings; enhance property values; and foster local cultural development. The Hyannis HyArts Cultural District in downtown Hyannis is home to local artists with seaside shanties, year round artist studios and galleries, free events all year including theater and musical performances alongside Hyannis Harbor, art walks, open studios, art festivals and much more. These initiatives are key components to the success of the revitalization of downtown Hyannis and have stimulated collateral private development on Pearl and North Streets. It has become a live/work/play area for residents and a true destination for visitors. 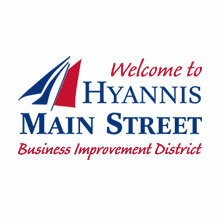 The success of the HyArts District is rooted in a series of arts related strategies which enlivenedthe economic climate in downtown Hyannis by investing time and resources into underutilized areas, establishing an economic cluster as an important backdrop for year round residents and visitors. The Town and several local and regional organizations, including the Hyannis Main Street Business Improvement District (BID), the Hyannis Area Chamber of Commerce (HACC), the Cape Cod Art Association (CCAA) and the Arts Foundation of Cape Cod (AFCC) and in consultation with the Cape Cod Chamber, continue to work cooperatively to provide resources to the arts community while fostering economic growth and establishing Hyannis as a regional center for creative and performing arts. In 2005, seven artist shanties were constructed on the harbor front. These shanties offer local artists an affordable location to create and sell their work. The artists receive marketing support from the Harbor Your Arts program. The rehabilitation of an underutilized grassy area into an outdoor performing arts center was completed in 2006 and includes an award winning public art installation named, “Buoyed Coasts”. The area now provides a venue for ongoing entertainment along the harbor and affords tremendous exposure for local musicians and actors. Bordering the performing arts venue on Pleasant Street is a town-owned and maintained park. Pleasant Street Park provides easy access to the state run ferries and has helped to increase foot traffic by extending the Walkway to the Sea from the harbor front to Main Street. Over two million people use the Walkway each year drawing thousands of travelers from the ferries to the shops and restaurants along Main Street. In 2007, two homes were purchased on Pearl Street, which is adjacent to Main Street, and renovated by the Town into artist live/work and shared studio/gallery space. These properties encompass the backbone of the downtown arts district, which also consist of private enterprises such as a gelato shop and local charter high school. In May of 2012, the HyAnnis HyArts Cultural District received its official state designation from the Massachusetts Cultural Council. It is the first cultural district designated on Cape Cod and was, at the time, the seventh in the state to be named. The concentration of cultural, economic and historic resources coupled with a strong community commitment to further enhance the vitality of the area, met all criteria for the state designation. The District includes Main Street Hyannis and the harbor front area. Thewww.hyartsdistrict.com website and facebook pagepromote the district. A strong creative economy provides the opportunity to capitalize upon regional dollars with an area unified and transformed into a distinct arts destination. This cultural district continues to increase the value of the arts in the community through the cultivation of diverse new audiences and keeps consumers coming back throughout the year. District branding and cultural activities such as historic walking and art gallery tours, artist shanties and work studios, classes, workshops and exhibits serve to attract visitors to the area. Future plans also include the creation of a multi-use cultural centerwhich will become the backbone of the arts district and will complement and enhance arts and culture initiatives in downtown Hyannis. In March of 2014, the Massachusetts Cultural Council (MCC) Board of Directors voted unanimously to designate Barnstable Village as a Cultural District. It is the second district within the town of Barnstable, (only the second town in the state to have two districts) . It was the fourth on Cape Codand the 20th in the state to be designated. This designation helps toenhance and grow the already successful arts and culture programs and events in Barnstable Village as well as in collaboration with the Hyannis HyArts Cultural District. There are smaller but equally as vibrant arts communities in each of the seven villages of the Town of Barnstable. The town is home to the Cape Cod Symphony, Cape Cod Conservatory, and the Arts Foundation of Cape Cod. Numerous museums, theaters, performance spaces, historical societies and places of historical significance are plentiful in the seven villages. Knitting together the arts and cultural assets among all seven towns remains a top priority within the town’s economic development agenda. Centrally located on the Cape Cod peninsula, Barnstable is its regional transportation hub. Home to the Cape’s airport, the Regional Transportation Center for bus & rail travel, plus two ferry terminals, Barnstable truly is the gateway to all of Cape Cod & the islands of Nantucket and Martha’s Vineyard. Barnstable Municipal Airport, located in Hyannis, provides commercial and general aviation services to Boston, New York and the islands of Martha’s Vineyard and Nantucket. It is owned by the Town of Barnstable and managed by the Barnstable Municipal Airport Commission and its staff. The Cape Cod Regional Transportation Authority owns and operates the Hyannis Transportation Center in downtown Hyannis, providing bus service to the 15 towns on Cape Cod. Bus companies also service Boston and Providence from this terminal. Cape Cod is situated at the extreme southeast corner of Massachusetts, approximately 70 miles from the Cape Cod Canal to Provincetown’s Race Point. The Cape is 20 miles at its widest point and completely surrounded by water: Cape Cod Bay on the north, Buzzards Bay on the west, Vineyard and Nantucket Sounds on the south and Atlantic on the east. Cape Cod projects into the ocean in an east-west direction for approximately 35 miles, then becomes narrower and turns northward. Cape Cod comprises 15 towns, each with a constellation of villages. There are four regions—Upper, Mid, Lower and Outer Cape. Upper Cape towns comprise Bourne, Sandwich, Falmouth and Mashpee; Mid-Cape towns comprise Barnstable, Yarmouth and Dennis; Lower Cape towns comprise Harwich, Brewster, Chatham and Orleans; Outer Cape towns comprise Eastham, Wellfleet, Truro and Provincetown. Cape Cod’s enduring appellation was coined by English explorer Bartholomew Gosnold on May 15, 1602, after he took ‘great stock’ of cod from the peninsula’s surrounding waters near the Elizabeth Islands and Woods Hole. On November 9, 1620, the Mayflower sailed into Provincetown Harbor in Cape Cod Bay, after a 65-day stormy trans-Atlantic voyage. Although several days off course and, given the dangerous waters they knew lay ahead, the Pilgrims decided to settle on Cape Cod. Before doing so, the Mayflower Compact was formed, committing all male passengers to cooperate in the new government. On December 15, 1620, Mayflower left Cape Cod and sailed for Plymouth, where its colony was established. As the colony grew, different groups decided to move to Cape Cod after being granted permission by the Plymouth government. First settled were Sandwich, Barnstable, Yarmouth and Eastham, where marshes provided acres of wild salt hay and fodder for farm animals. The new Cape Codders farmed and fished (including whaling) and planted seeds brought from England. They plowed acreage, planted corn and vegetables and cut lumber which they fashioned into square, neat little houses. The government in Plymouth taxed net fishing for mackerel, bass and herring on the Cape, using the taxes thus collected for the upkeep of schools. Independence, more than any other attribute, typified Cape Codders, who grew increasingly belligerent towards British rule culminating in the great war of independence with Great Britain. Approximately 225,000 year-round residents. That number nearly triples in the summer months of July and August. Cape Cod has 115 pristine beaches—from the calm and refreshing Vineyard and Nantucket Sound beaches to the glorious, beautiful (and sometimes wild and wonderful) beaches of the Cape Cod National Seashore. And with 559.6 miles of coastline, even in the height of the summer season, one can almost always find some waterfront real estate to be alone. The Cape is also home to 365 ponds. Water sports can be enjoyed practically year-round. Visitors can sail, motorboat, wind and wave surf, canoe, kayak, fish or water ski. There are interesting and informative nature excursions from several locations, including whale watches. Lighthouses are as much a part of Cape Cod as the sea. In fact, for centuries they have guided mariners to safety through treacherous shoals. There are eight working lighthouses on the Cape, mile-for-mile one of the largest concentrations of working lighthouses in the world. Cape Cod, indeed, is the sort of place you would expect to find lighthouses. Sweeping far out into the ocean, the Cape is a substantial obstacle to navigation. In the last 300 years, there have been more than 3,000 documented shipwrecks along Cape shores. select arts & cultural venues. There are few areas in the world that can rival Cape Cod when it comes to quality golf. Our reputation for excellence speaks for itself: Cape Cod has produced some of the best golfers in the world, including current Nationwide Tour player Jason Caron, as well as past standouts Jim Hallet and Jeff Lewis and LPGA Tour members Sally Quinlan and Carri Wood. Cape Cod has four of the Top-10 courses in Massachusetts (according to Golf Digest) and one of the Top-four Par-3 layouts in the country. Some of the greatest golf course architects in the world have had a hand in sculpting Cape Cod’s most scenic golf vistas, including Donald Ross, William Mitchell, Geoffrey Cornish and Brian Silva, the 1999 Golf World Magazine Architect of the Year. And Cape Cod’s courses have hosted some of the world’s greatest personalities, from President John F. Kennedy and Speaker of the House Thomas “Tip” O’Neill to Arnold Palmer and Chi Chi Rodriquez. The Kennedy family has been connected to Hyannisport on Cape Cod since the 1920s, when family patriarch Joseph Kennedy bought a summer home here. The 1960 presidential election, during which John F. Kennedy was elected the 35th US President, helped land Hyannisport on the world map. The Kennedy compound is still a tourist draw today, and the JFK Museum and JFK Memorial in Hyannis remain among the most popular Cape Cod attractions.